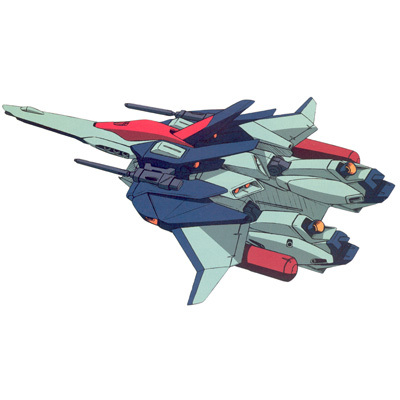 Despite the name, I never thought that the Hyaku Shiki Kai was really that much of an improvement over the Hyaku Shiki. Best to just put Quattro in something better. Never used it much since it's a grunt suit, so I have little to say about it. 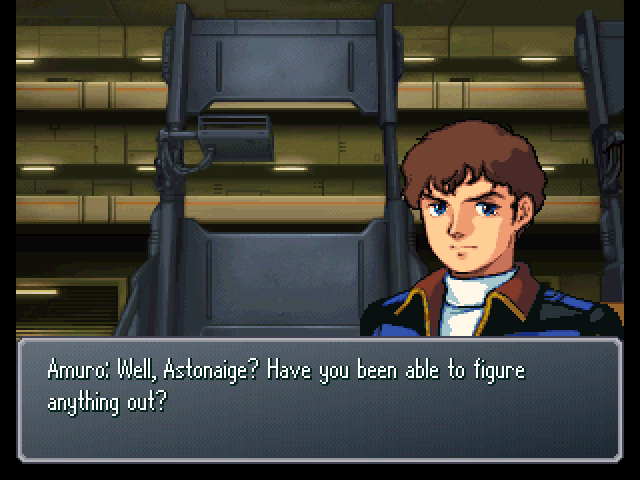 Arguably the best 0083 pilot in the game. Unfortunately, I never had enough room in my main roster to really give him a try. Haven't used him, so I can't really say anything about him. 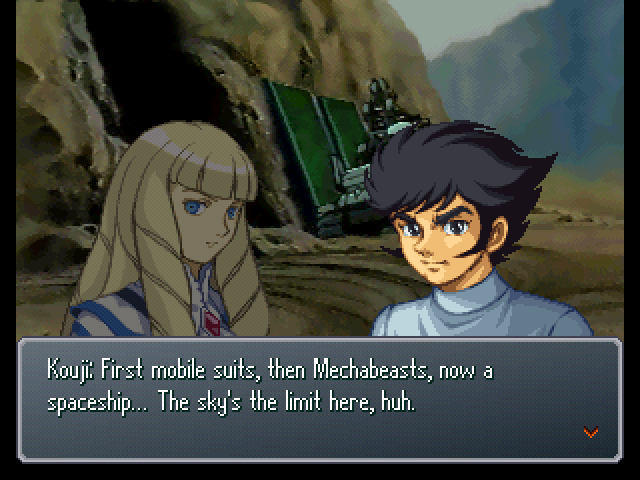 Shinguji is, like, the best support pilot in the game. The Blugar is amazing at snatching treasure and impossible to hit. Once he learns all his spells, I never go into battle without him. His spirit list is insane. 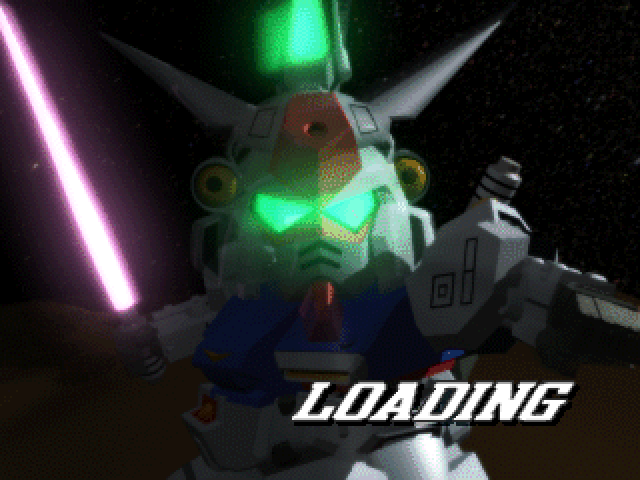 The Hyaku Shiki Kai is one of the better UC suits in most of the games it's in. In Alpha it has a 1-6 range MPC, max damage 4300, EN 20, and EN Max 290. In F 1-7 range, 4300 damage, 15 ammo. Gaiden it's 1-7 range, damage 4200, EN 25, EN Max 220. Unlike the other two, you can't just dump it in the middle of the enemy and blast everyone with its best attack, but it does have decent P weapons that are upgraded too. : They're apparently all over this world... And people are excavating Space Era machines like mobile suits from them, apparently. 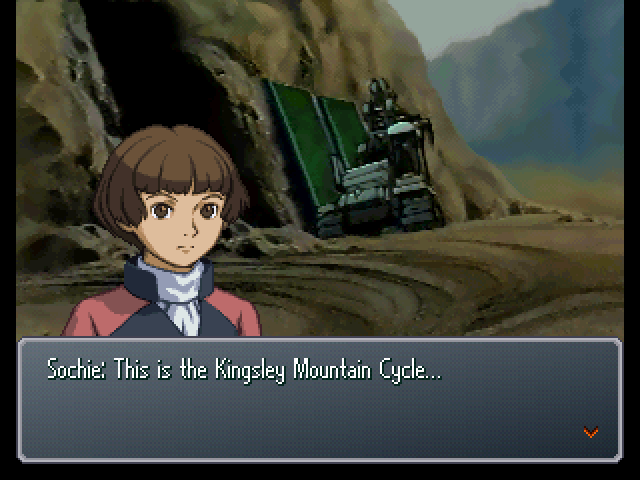 : Yeah, I think it's a Mountain Cycle. 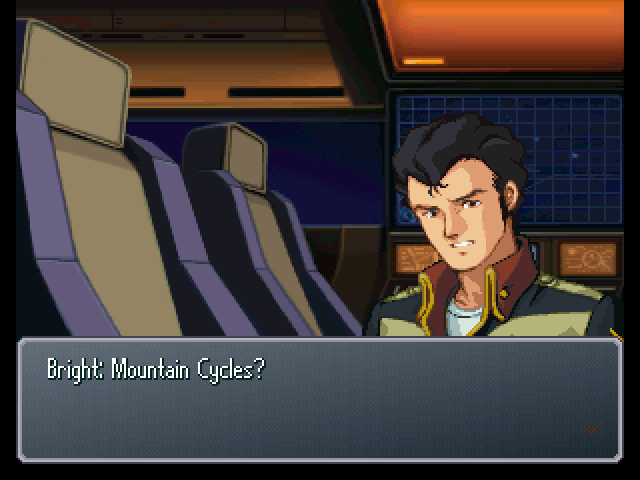 : Captain, I've heard from Ensign Kou that the Iron Gear has come near here to check out a Mountain Cycle in a place nearby called Kingsley Valley. 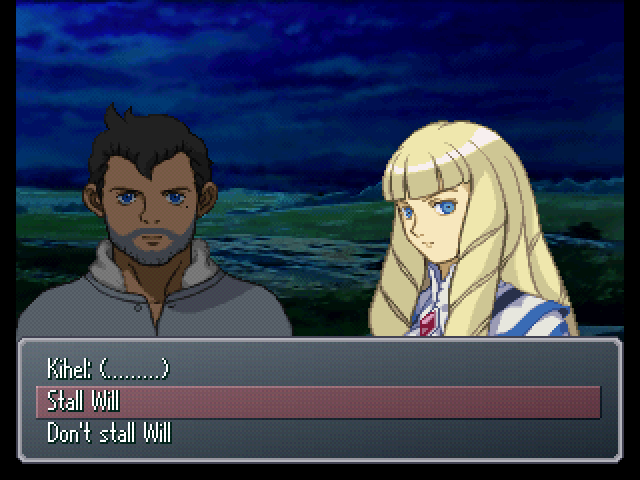 : Captain, would it be alright if we joined them in the investigation? : Yes. My gut tells me that we'll find some answers there regarding how the world ended up in its current state. : We still need to learn why Mechabeasts have started appearing now, too. : We might be able to find a lead on how to get back to our own world, too. : If we work together with the Iron Gear, it's much more likely we'll get dragged into fights we want nothing to do with. : Mechabeasts appearing marked the moment where we can no longer safely say this has nothing to do with us. : (.........) Lt. Quattro... We'll also head for the Mountain Cycle in Kingsley Valley. : Our goal is to find our scattered people, and return to our own time. For that reason, we need all the information we can get. : ...That's assuming there IS a way for us to get back to the Space Era, though. : Yep. This gives us access to all kinds of technology. : You seem pretty happy about this, Cotset. : Of course, my main line of work is as a technician! : Cotset, how long will it take to get to Kingsley? : Another two hours or so. By the way, Miss, mind if I pay the Argama a quick visit? : The Argama? What for? : The Argama guys wanna check out the White Doll. I wanted to be there for that too. : Who'll control the Iron Gear? : Fatman, you handle it. It's all yours! 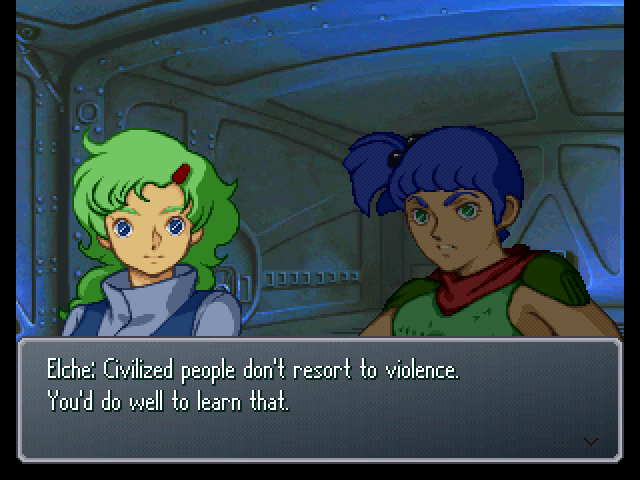 : I've had it up to here with gettin' dragged into Elche's fights. : I'm startin' to miss life on the ol' dusty trail. : Oh, hello everyone. What are you doing here? : ...I could ask you the same thing. Where are you going? : I'm going to visit Sir Gwen, to have him teach me more about culture. : You're the captain, aren't you? I swear. You can't just leave your station! Culture and art won't put food on the table, y'know. : Wake up and smell the coffee already! : I said I wanted to dedicate my life to culture, didn't I? : You're still going on about that...!? : Hmph... You call a speedy knife-draw civilized? : Aren't you the more violent one here? Huh, Elche Cargo? : I suppose so... I'm more of an aggressive type than you, truthfully. But that's okay, since I work my hardest. You wanna try being the captain? : Elche! The captain is YOU!! 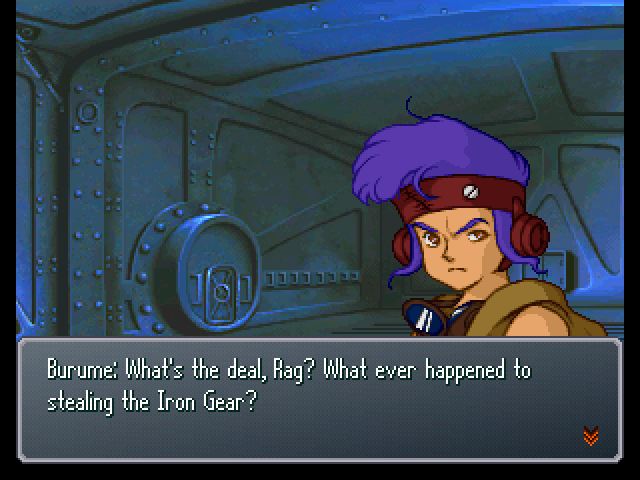 : (.........) Hey, Rag... Why'd you turn that offer down? : I couldn't spot any fusion reactor in this White Doll. : It doesn't have a generator? : That's not what I meant, but... It uses a propulsion system different from ordinary MS.
: No wonder it has so much extra space in its main body. : The chest section can hold an entire missile launcher. 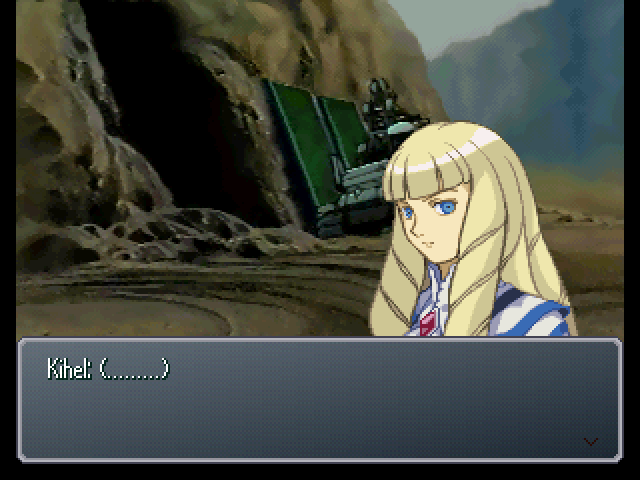 : So the White Doll really is different from other mobile suits? : Yup. This is all just my conjecture, but... There are beam-like rays which run across the surface of the machine... The machine itself seems to be moved based on their expansions and contractions.It also seems to be capable of producing an I-Field barrier, so it might be a practical use of it. : What's this I-Field thing? : It's a special type of field which uses Minovsky particles to disperse electromagnetic waves. : You catch on quick, don't you? : The White Doll seems to repair wounds it takes in battle itself. : Robots the size of molecules. They can be used for medical treatment, or to produce machines on a microscopic level. Just think of them as cells or viruses. Depending on how they're used, they could even be used to perform genetic alterations. 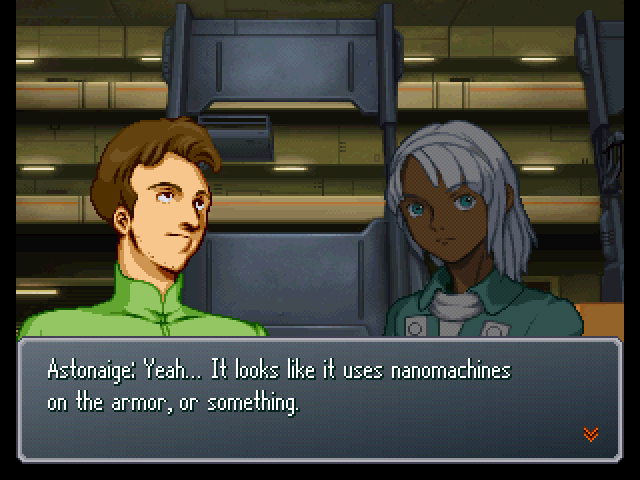 : Probably has nanomachines repair damage in battle to a certain extent. 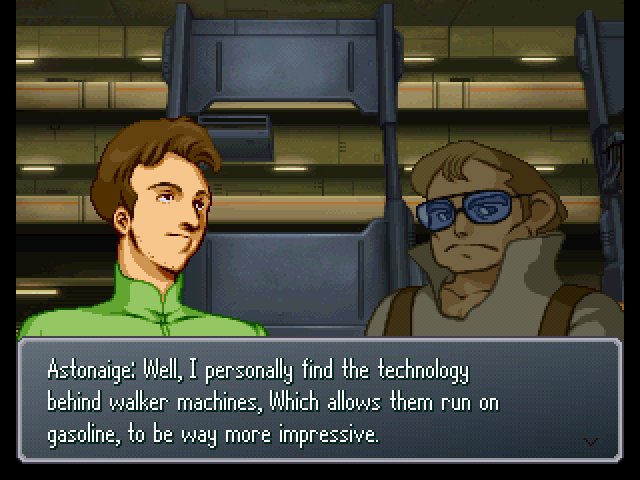 : Huh... That's some amazing technology. 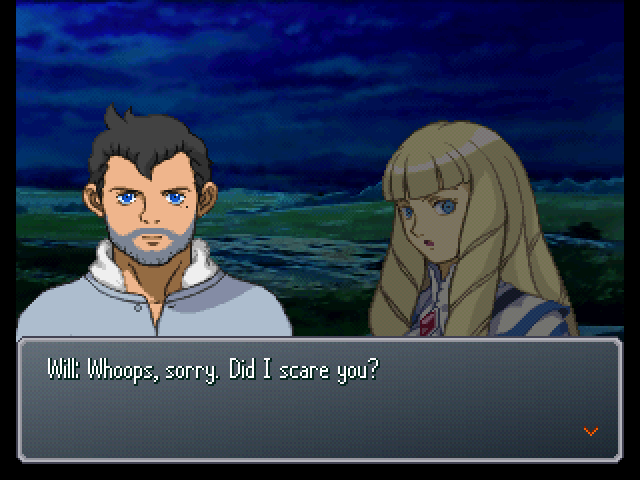 : Loran, I'm interested in the White Doll too. If anything odd happens, let me know. : Yes, sir. Thank you very much. 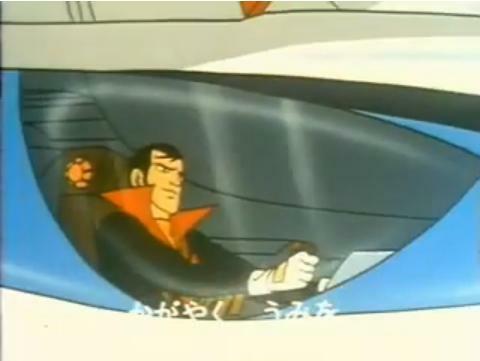 : Well, I'll take care of its adjustments from now on, so you can focus on piloting it. : Yeah, there turned out to be vein segments in the back of its legs. That might improve the White Doll's performance, Loran. 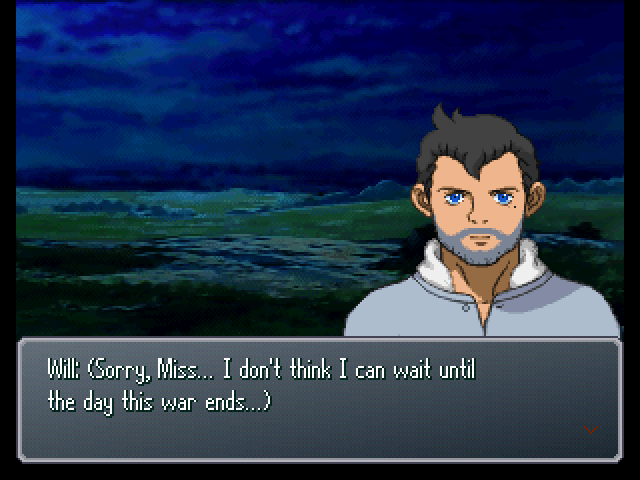 : ...You don't seem to enjoy fighting. : Is it not the same for all of you, Lieutenat Amuro...? : ...There isn't anyone on board this ship who enjoys fighting, including me. But we trust that by fighting, we can change something... Yes... Just like you. : We might just be strangers to you and everyone on the Iron Gear, but... ...I hope you can trust us. : We should be in Kingsley by now. Let's start investigating, shall we? : Alright, I'll lend a hand. I've done mining work in the past, so I think I could help. : Oh yeah? That's handy. : Legend has it that a spacefaring ship is buried here. : A spacefaring ship? 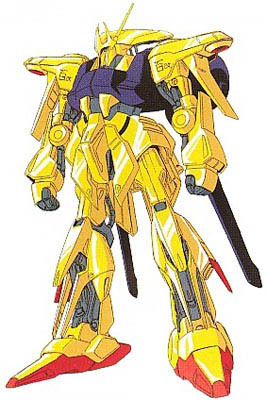 Like the Argama? : Yup. If we can find that, it'd be a huge benefit to the Militia. : Will we have to do the digging? : Don't worry, we've got the perfect robot for the job. : Oh, that mechanical doll with the drill hand? : Sis, where are you going? : Wh-who might you be? : Diana Sorrel...... Wasn't Diana Sorrel, uh...? : (.........) I've been very rude. I mistook you for someone I knew... I do beg your pardon. : Hmm... Who's this person you know? : Hahaha, that's a good one. I'm certainly Will Game, but the Game family mansion hasn't been in Albany since the time of the founder of the family, the first Will, over a century ago. : Over... a century ago...? : And how would you even know whether I resembled the founder or not? : Lily was calling for you. : She said she wanted your help preparing for lunch. : Milady, who is this...? : Will Game. I'm doing some excavating around these mine ruins. : I'm Loran Cehack. I'm in the care of the Heim family. : ...Pardon me for not introducing myself sooner. I am Kihel Heim. : Heim... The mining family in Vicinity, Inglessa? : Ah, now I get why the lady took an interest in me when I was just digging a hole. : What is it that you're trying to dig up? : An ancestor... Do you mean the first Will Game? : Well, we're seen by the villagers as eccentric. Because of that, the first several years I searched for the spaceship, I had to do it alone. : Wow... That's some tough work you're doin'. : And did you find it? : Sure did. You guys were looking for it too, right? : This is something my family has spent long years searching for, though. I can't hand it over to you guys. 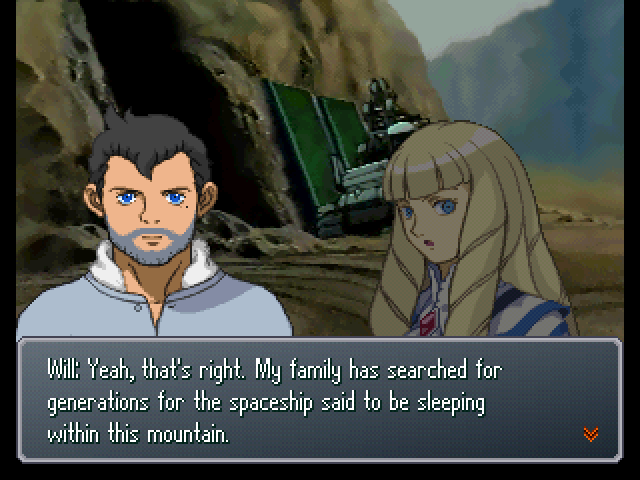 : Um... Why did they want to dig up a spaceship to begin with? : The moon... You want to go to the moon...? : Will you take my story seriously? Most people who hear it either scoff, or call me a liar. : Eh, I have trouble enough just believing that people even live on the moon. : Will Game... Please, continue your story. : ...Lady Diana of the moon once descended to the Earth... She stayed for a time with the Game family, in their manor in Albany. : Ooh, I get it. So they get married, right? 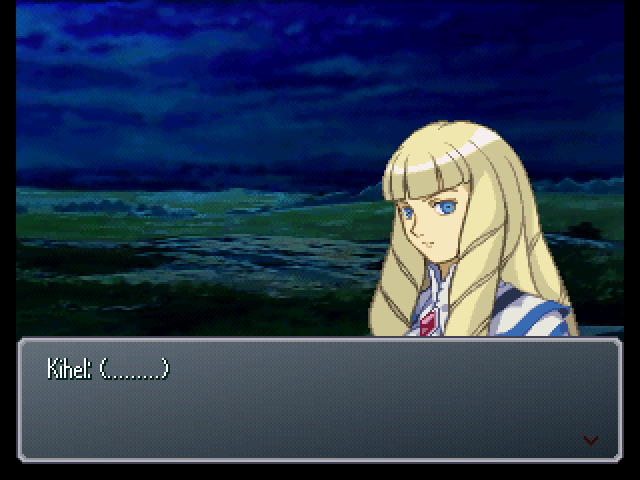 : Hold on, Chiru. The story wouldn't end that simply. : ...She told them to bring her a treasure told of in folklore across the world... A feather from the Phoenix of Eastern legends, right...? : Yes... The 'Phoenix Feather', a fairy tale famous in southern parts of North Ameria. : And...? What became of Will...? 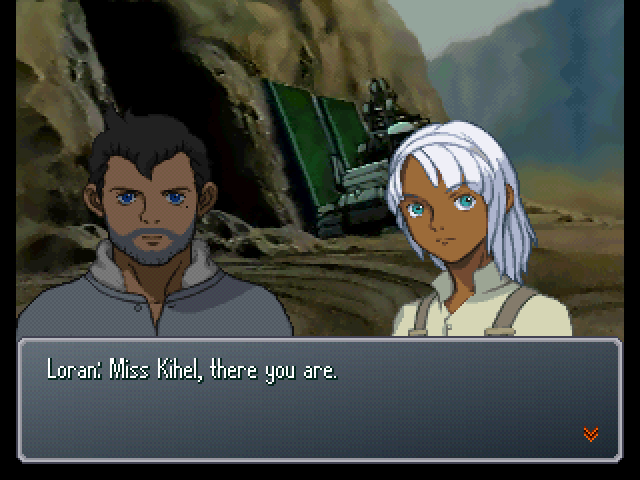 : ...Miss Kihel? What's the matter? Your face is all pale. 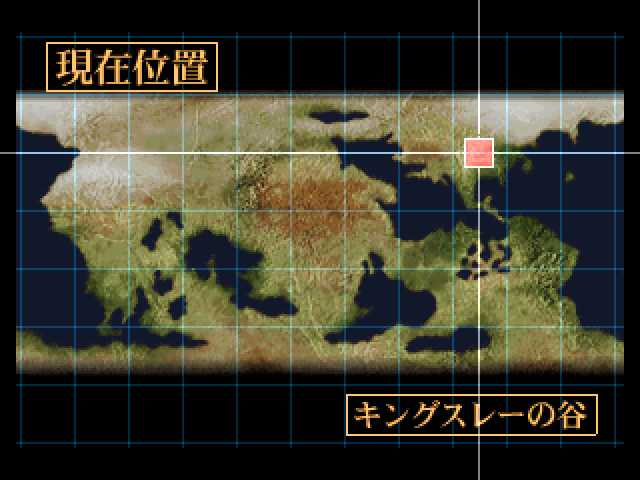 : But it's certain that the spaceship is buried there? 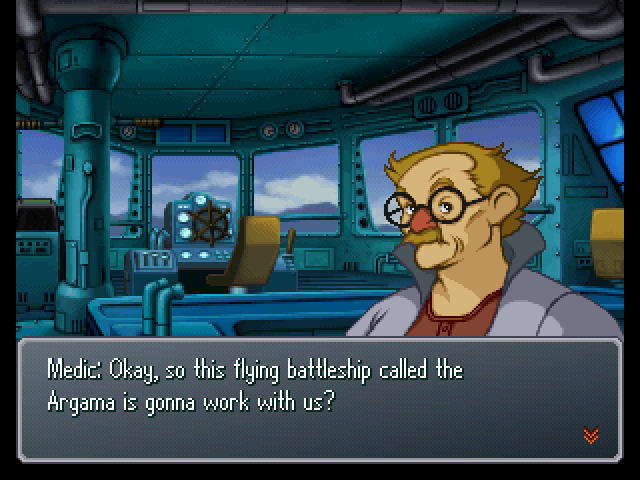 : If it comes down to it, we'll have to ask the Argama's crew for help... And resort to drastic measures. : No, I don't want to make the situation any worse if we can avoid it. Let us talk it over with Mr. Will one more time tomorrow. : Yeah. 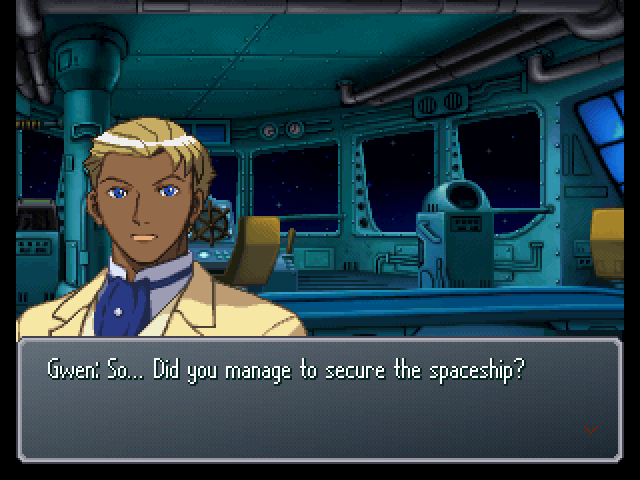 The Militiamen want to use my spaceship for war. If that happens, I won't be able to go to the moon... ...So I've decided to sell the spaceship to someone else. : You didn't sell it to...? : You mustn't! Right now, the Diana Counter seeks to use Black History relics for war! : What gives you the right to claim that? : ...I've already made my decision either way. I've got more of a chance with them than I would working with the Militia. : Your knowledge and my life's dream are two different things. I've put everything on the line to realize Will the First's dream. And we're given a choice here, I chose to try and stall him. 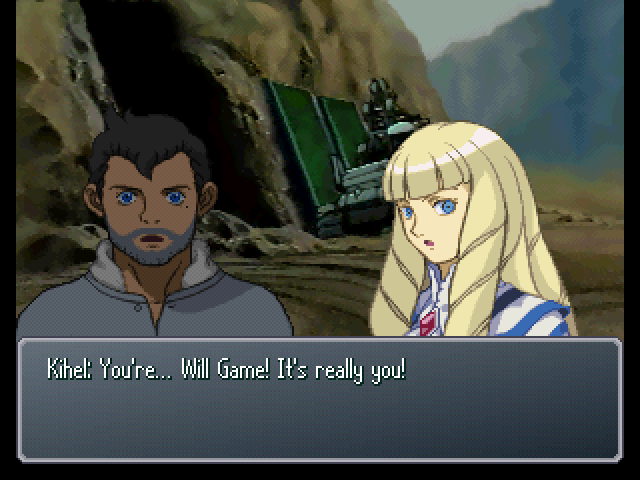 : ...Will Game. Could I get you to think this over again? : ...Are you going to get in the way of my dream too? : No. Right now, the moon you seek to visit is trying to start a war with the Earth. What would Will the First and the queen of the moon think of a situation like this...? : What you seek to do could add more fuel to the fire... ...Before chasing your own dream, think once more upon what your ancestor must have felt. : Thank you for hearing me out. : I'll try speaking with Gwen once more tomorrow.